When we moved to Portland, we moved into the Wilson High School attendance area. As a result, I am the proud father of Wilson alums. 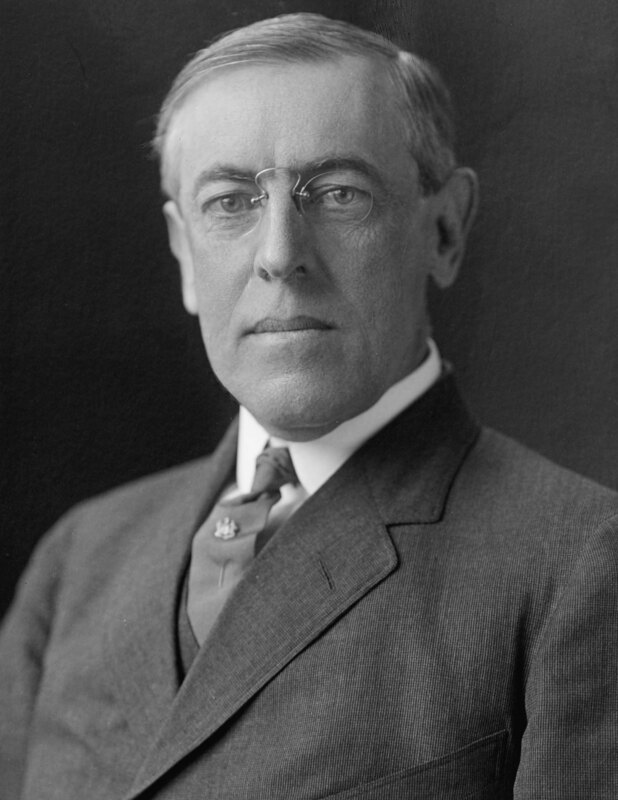 Wilson is named for President Woodrow Wilson. It’s a thing in Portland. We also have high schools named for presidents Cleveland, Grant, Jefferson, Lincoln, Madison, and Roosevelt (Theodore). Recently, some people have come to feel that Wilson is not worthy to have a high school named after him. It’s a question that is easy to place on the agenda in today’s rather snarky climate of opinion. 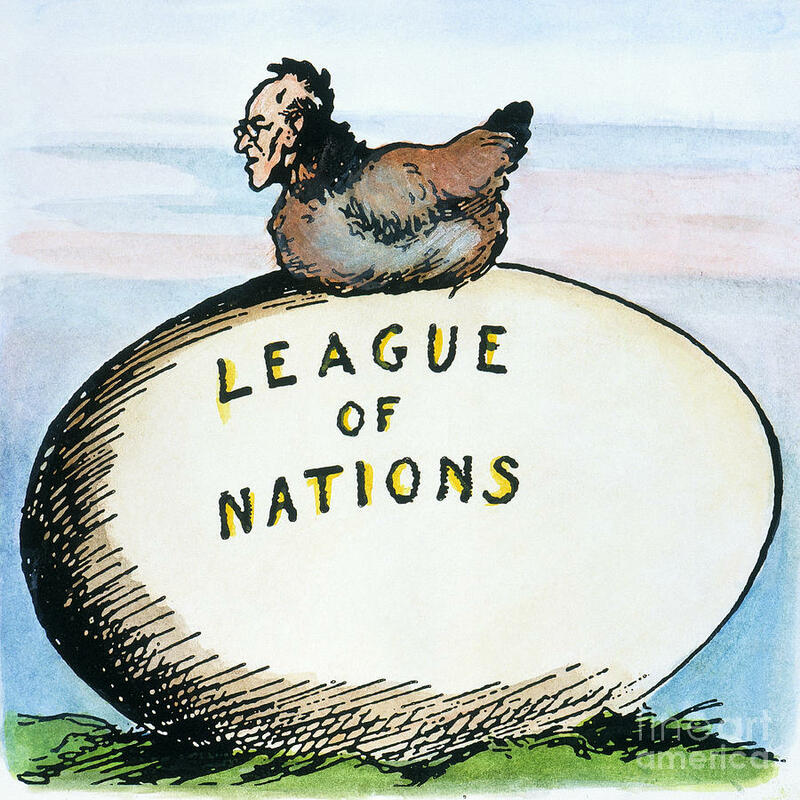 I began to wonder whether all the students at Wilson are worthy of attending a high school named after the creator of the League of Nations. Establishing “worthy” as the criterion is like increasing the slope on your treadmill. Everything gets harder and when you forget that you changed it, you wonder why. What exactly is the issue here? Wilson High School was named after a famous American president, a man much revered by many historians because of his domestic record of progressive achievements (all pre-war, of course) and his international record of post-war diplomacy. It sounds like the kind of guy you might want to name a school after. He doesn’t sound like the kind of guy who would be elected by people with race and gender at the top of their minds and he was not. There were other things at the top of the minds of the electorate in 1912. They were interested in extending the progressive agenda, at which Wilson was remarkably successful in his first term. We don’t really have a progressive agenda any more, so it is easy to misunderstand. The left-wing politicians of today stretch further than most voters will allow, just to touch the coattails of the practical visionaries of the Progressive Era. It isn’t just that the American political spectrum has shifted to the right, although that is true too, but that private issues have become very important compared to public issues. I am very much afraid that she is right on that last point. “Our nation” is talking a lot about the public treatment of private matters. What, for instance, are the implications of a law for my private religious views? Should states where majorities oppose gay marriage be forced to accept gay marriage? Should race be taken into account—or ignored entirely—on questions that involve the awarding of contracts or admission to colleges and universities. Every one of those issues—important issues, every one of them—has a constituency. The constituency is focused and fervent and funded. You know what doesn’t have a constituency? 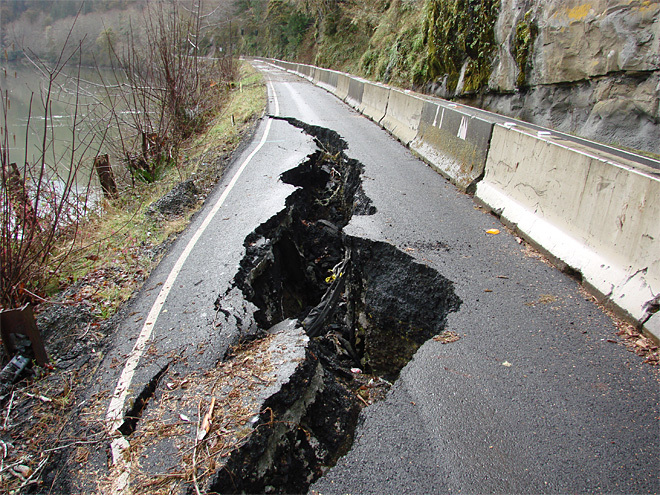 Finding a way to repair and maintain our roads and bridges. There are people who think that is an important issue for America, but they they are a pallid bunch compared to the people who are pushing personal purity questions. Or, how about finding a way to support consumer spending when more and more jobs are lost to robots and third world workers? That seems pretty important to me, especially because the demands of efficiency push businesses to reduce their labor costs; then to reduce them again. Eventually, someone is going to have to get paid some money because the credit cards are getting stretched. What to do? Or this one. Locating the U. S. successfully in a world where American interests no longer dominate, but in which we are, nevertheless, the de facto leader. That seems worth a public debate. Or how about investing in a crash program to reduce energy production through the use of fossil fuels and shifting over to a mix of less polluting forms of energy and grids to distribute that energy to where is is needed. There is a collection of issues I would call “public issues.” Some of these are being neglected because they have been successfully opposed by the interests who will lose out when those issues are seriously discussed. That’s politics. It happens all the time. That’s not what I’m worried about today. But some are being neglected because people are preferring to emphasize “private issues.” When Maddy VanSpeybroeck says that feminist and racial issues are what “our nation is talking about right now,” she is entirely correct. We are talking about collections of private issues, each of which has an intense constituency, rather than about public issues, where a broad coalition of interested parties would have to be developed and sustained over some period of time. We are sliding very rapidly toward small ball politics. It is a politics where personal grievances, real or imagined, are dominating the agenda. What are the effects of this? I can think of two. First, we are talking about grievances (examples to follow) rather than issues, that is, questions of public policy on which we must make decisions. If you have ever been to a public meeting at which issues were discussed, you know that a small, cheap, tawdry issue that is on the agenda, will be dealt with, while a large, substantive, crucially important issue that is not on the agenda, will not. Agenda control is absolutely crucial. A second effect is that people who are good at that kind of politics—I call them grievance mongers  to distinguish them from politicians—will flourish at the expense of people who would present our current choices about real issues. Grievance mongers beat politicians in elections. They have success in legislatures and, in some political settings, in executive offices as well. So this is serious. These issues edge out those. These candidates edge out those. These officeholders edge out those. And all the while, voters are being trained in what “really” constitutes “public debate.” It’s like training children to prefer high salt diets so that food that could, to more discerning palates, taste like itself, will hardly taste at all. I promised an example. Was Abe Lincoln a racist? We really need to know because the views he held about African-Americans form the basis of our view of President Lincoln. Did he, in his casual remarks to Salmon P. Chase, indicate that he thought that Africans were inferior to whites. Maybe he told racist jokes in the meetings of the Cabinet. Here are some things to bear in mind. Lincoln moved away from the question of slavery every time he had a chance. He was committed to saving the union and he did. Does anyone really think that Lincoln’s place in history should be determined only on his racial views? Why not only on his Union views? Or better yet, why not both? Woodrow Wilson was one of the most daring and idealistic diplomats of the 20th Century. Does anyone really think Wilson should be evaluated on the basis of his racial views only? How about on his diplomatic successes only? Or better yet, why not both? Or, to return to the “small ball” example, should a president be evaluated on his performance in office only? Or on his character only? Or both? Should the people with some of the most demanding jobs ever devised be assessed by modern grievance mongers, using the norms of another time to criticize people whose real choices they can only imagine? It doesn’t seem like a good idea to me. At the Nassau Club in Princeton, New Jersey, there is a picture of Woodrow Wilson on the wall and a plaque recognizing him as president of the Nassau Club. No other achievements are noted; not his presidency of Princeton University nor his presidency of the United States Just the Nassau Club. Actually, his first name is Thomas. The case that the charge of hypocrisy is mostly moral laziness comes in the passage in Neal Stephenson’s The Diamond Age, where the early days of the New Victorians are described. It was way back at the end of the 20th Century. Think back. Moral values had fallen to such a level that no one was willing to take a moral stand. But, as Finkle-McGraw says, “people are naturally censorious,” and some ground for criticism must be found. It was in that way that “hypocrisy” was elevated from “a ubiquitous peccadillo into the monarch of all vices.” And here we are. The word “monger,” now almost entirely a suffix, has a pejorative feel about it and that is why I am using it. There is no reason why it should. It means “trader.” A fishmonger is someone who sells fish; an ironmonger, iron. My word “grievance monger,” by contrast is a snarly sneery sort of word. This entry was posted in Economy, Political Psychology, Politics and tagged private grievances, public issues, racism, renaming public institutions, sexism, Woodrow Wilson. Bookmark the permalink.